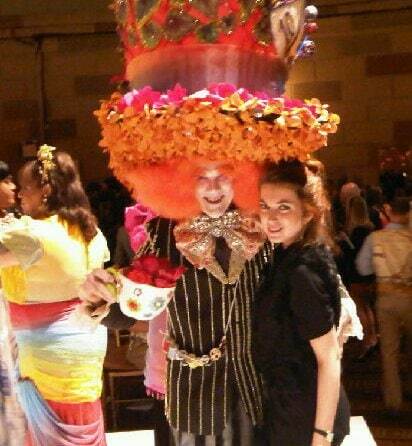 Tulips & Pansies hosted a spectacular fashion show to benefit VillageCare. 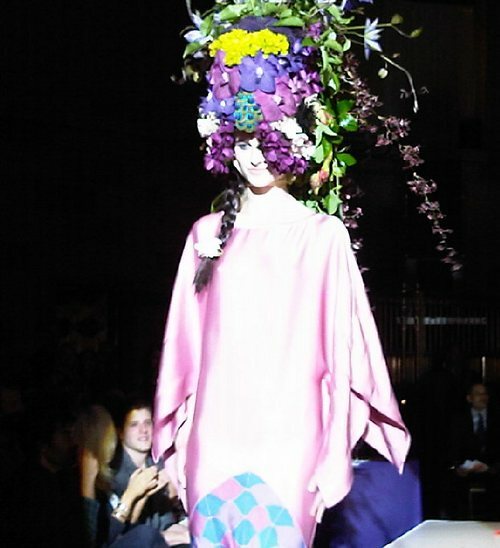 The show consisted of some of the greatest fashion designers collaborating with talented and creative flower designers. 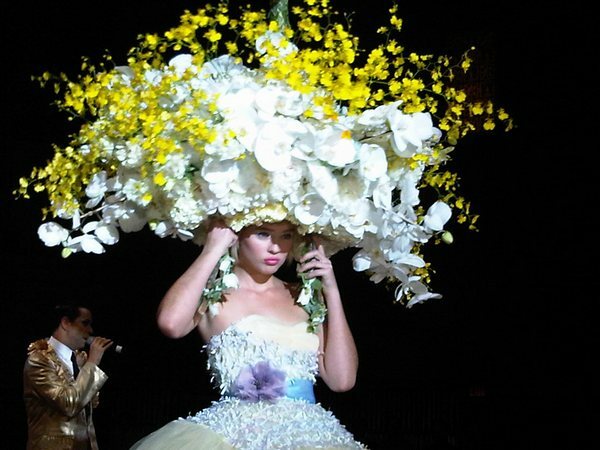 Nothing was off limits; wild flowers, stuffed animals, balloons, and lit candles were seen on models’ heads. The fashion show was judged by 5 fashionistas including Fern Mallis, the founder of New York’s Fashion Week and Kelly Bensimon, from The Real Housewives of New York. The winner was announced by the host James Aguiar, TV personality and style guru. Betsey Johnson’s collaboration with Preston Bailey (first photo) took the first and well deserved place. The beautiful swan like ensemble whisked us into a fairy tale. The show was followed by silent auction with bid items on everything from retro sunglasses to NY Yankees tickets. All the proceeding went to VillageCare. VillageCare is a community-based, not-for-profit long-term care organization serving seniors, persons living with HIV/AIDS and individuals in need of medical and rehabilitation services.